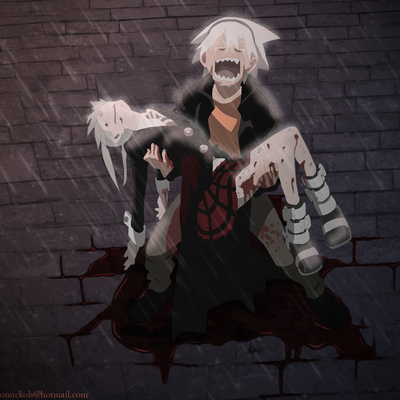 lastly, there should be a kishin mark under souls feet. the three creepy eye thingy. nice picture can someone one plz tell me if this is in an episode and if it is can you plz tell me what episode i would like to know and give me a direct answer thankyou! You dummys, it's from the second opening. Is this even in an episode of Soul Eater? what episode is this from any1 can tell me plz!! !